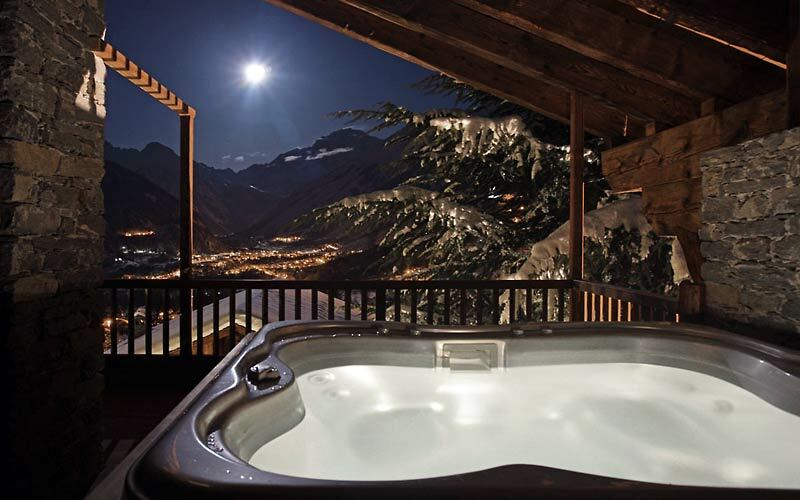 An authentic alpine gem, Monte Blanc Hotel Village is a luxurious mountain retreat in the heart of Valle d'Aosta, tailor-made for a clientele accustomed to the finer things in life. 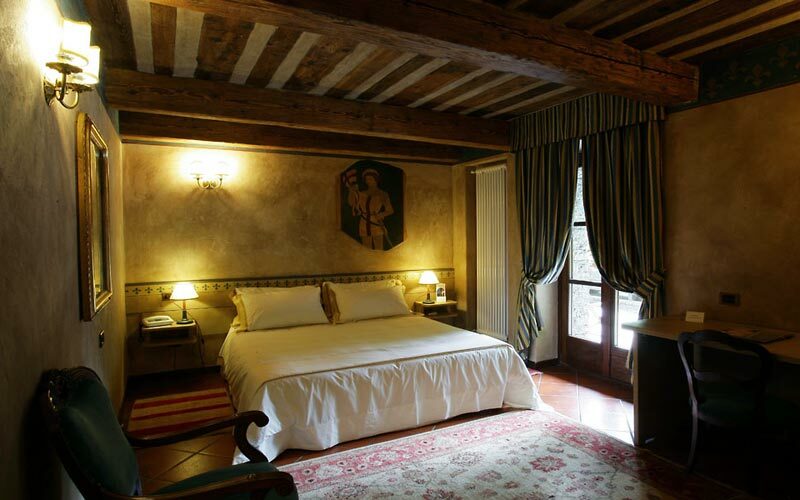 Traditional interiors in wood and stone together with the latest in modern technology, characterize each of Monte Blanc Hotel Village's sumptuous bedrooms and suites. 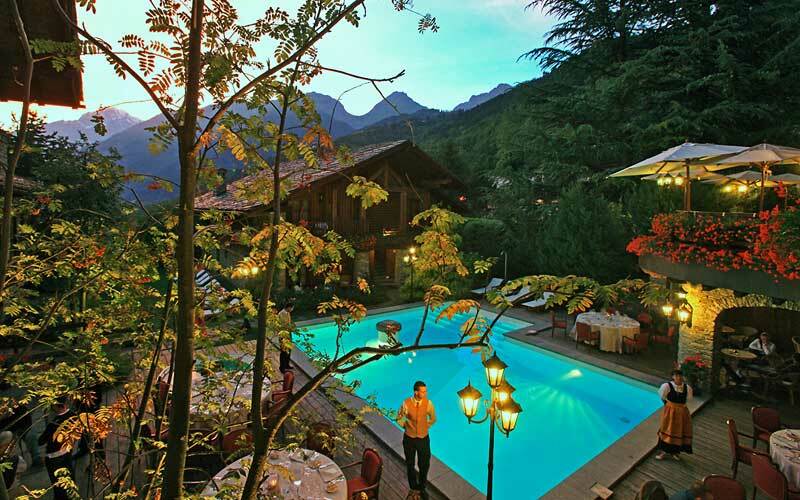 From almost every single window, balcony and terrace, spectacular views of the Alps' most famous mountain can be seen. In warm weather, residents linger by the pool on the hotel's panoramic terrace, partaking in the delicacies served in the Bar Beauregard, or bathing in the glorious summer sun. In the winter months, the Bar Foyer, dominated by a magnificent wood-burning fire, becomes the focus of life at the hotel. Whatever the season, guests dining in Mont Blanc Hotel Village's light-filled "La Fenêtre" or intimate "La Cassolette" restaurant, can expect to enjoy Fabio Barbaglini's exciting mountain cuisine, inspired by age old family recipes and prepared using the finest products from Valle d'Aosta. A session in the "wellness cave" is the highlight of a morning's pampering in the hotel's "La mine du Bien-être" luxury spa. 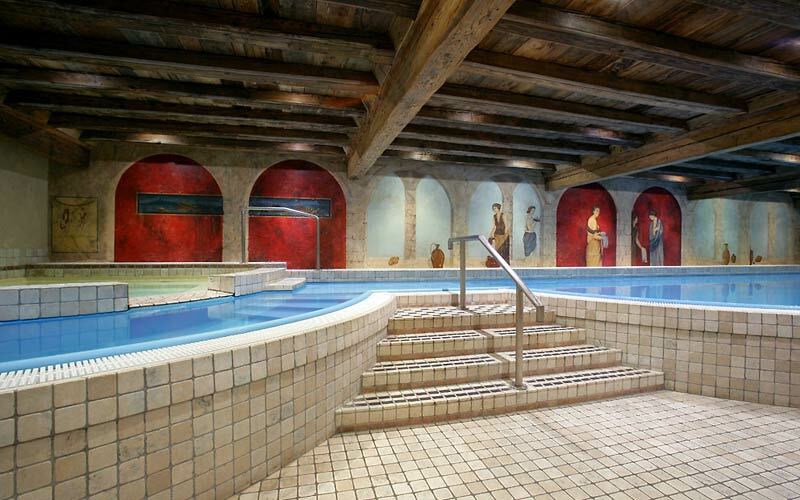 Hydromassage pools, saunas, steam rooms and Kneipp baths, together with beauty treatments by Maria Galland-Paris, guarantee lasting sensations of wellbeing. When not luxuriating in the spa, guests might easily be found heading off into the surrounding mountainside: the ideal terrain for climbing, rafting, trekking, and mountain biking. Winter sports fans will no doubt spend much of the day in the nearby ski resorts of Courmayeur and La Thuille. 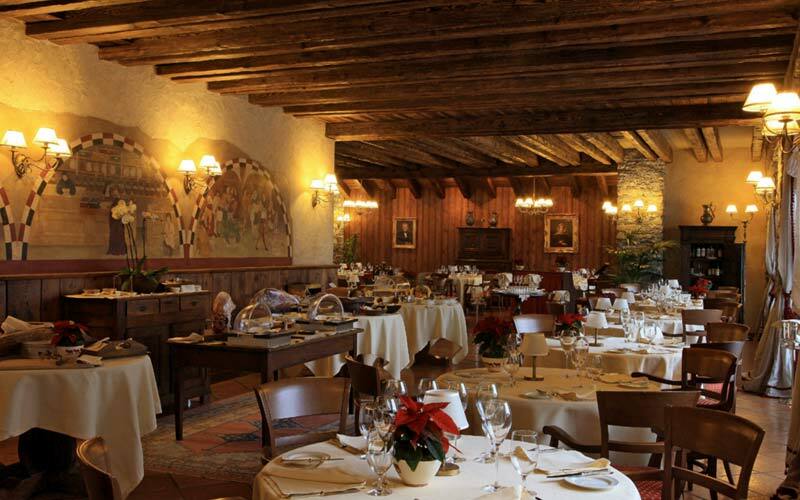 A favorite all-year-round holiday destination, the mountains of Valle d'Aosta are a fabulous location for an important business meeting or exclusive social gathering. A well established events venue, Mont Blanc Hotel Village offers peerless banqueting facilities and a number of well equipped function rooms, in which to host both high profile conferences and glamorous wedding receptions, in the shadow of Mont Blanc. 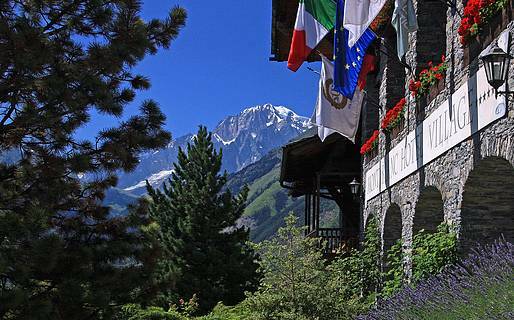 The name "Mont Blanc Hotel Village" says it all. 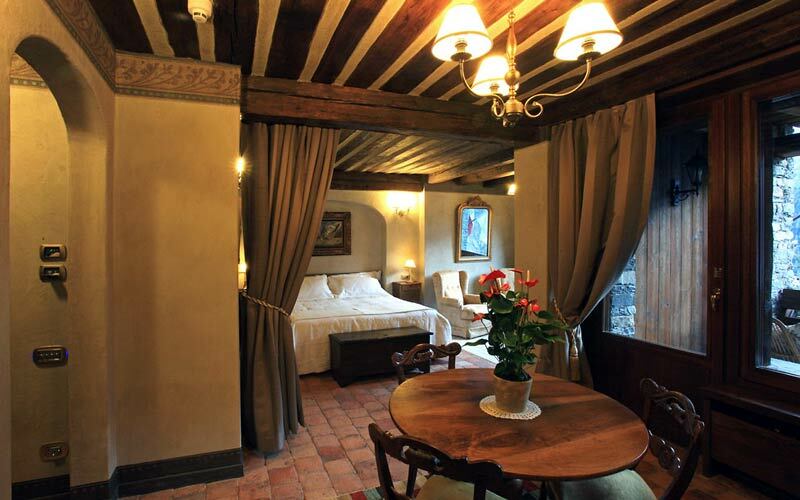 From the windows, balconies and terraces of this 5 star hotel, located in the small village of La Salle, in Valle d'Aosta, magnificent views of Mont Blanc can be seen. 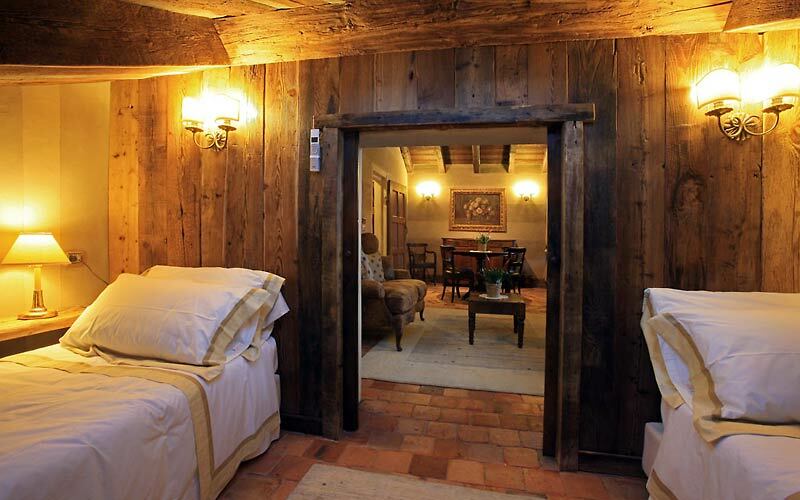 Courmayeur, the famous winter sports resort, is only a few kilometers away, as are the Gran Paradiso National Park, the Marais Nature Reserve, the valley of Cogne, and Saint Vincent, home to the famous casino. Megève in France and Genève in Switzerland are both within easy driving distance.